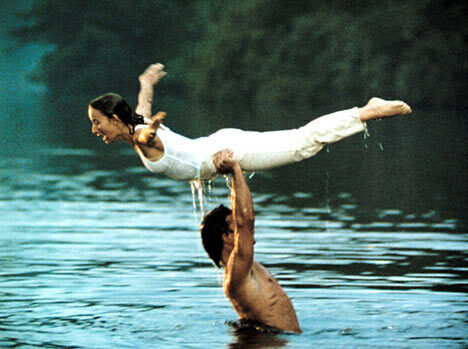 My Style Notes: Dirty Dancing. This hot weather has me thinking of summer film clothes. I always loved Jennifer Grey's bodysuit (swimsuit?) and jean shorts combo she rocked during the dancing on the bridge montage. Some fun inspiration in these shots for a few dancer-esque wardrobe choices. It looks like "baby" was rockin' the sheer skirt ages ago.